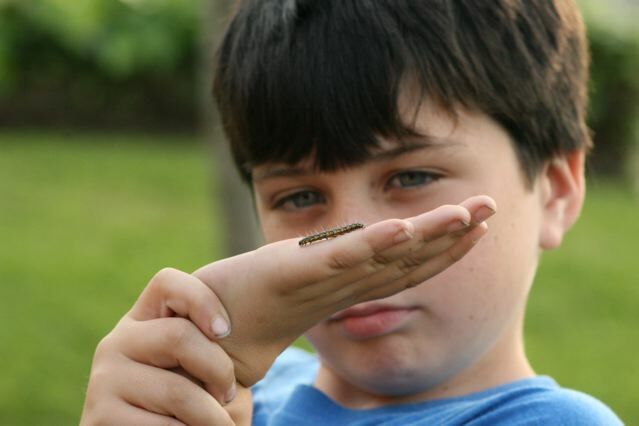 Nick found a caterpillar as we were leaving his tutor’s house. On the way home it was tickling his hand so much he decided to give it to Joe. 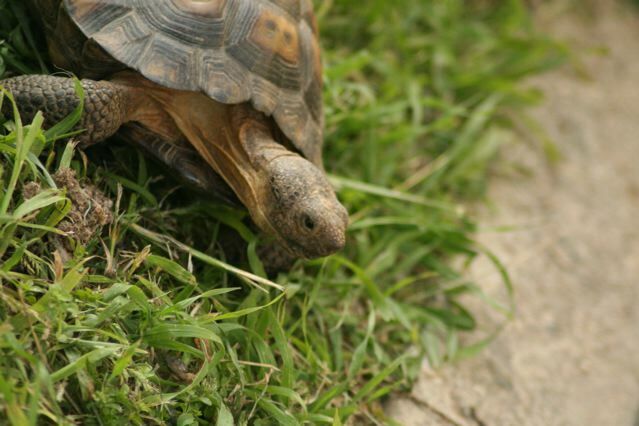 It let out a green ball on Joe’s hand…and he shared that bit o’info with the neighbor lady, who in turn shared with us that she adopted two turtles. We went to her backyard and checked them out. They have cool African names that I forgot the minute she shared them with me. 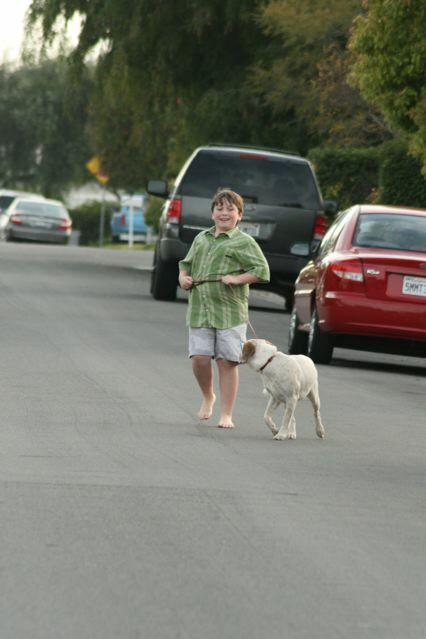 Nick walking Beag….confused to why we were at the neighbor’s house with the caterpillar…..not confused enough to ask!